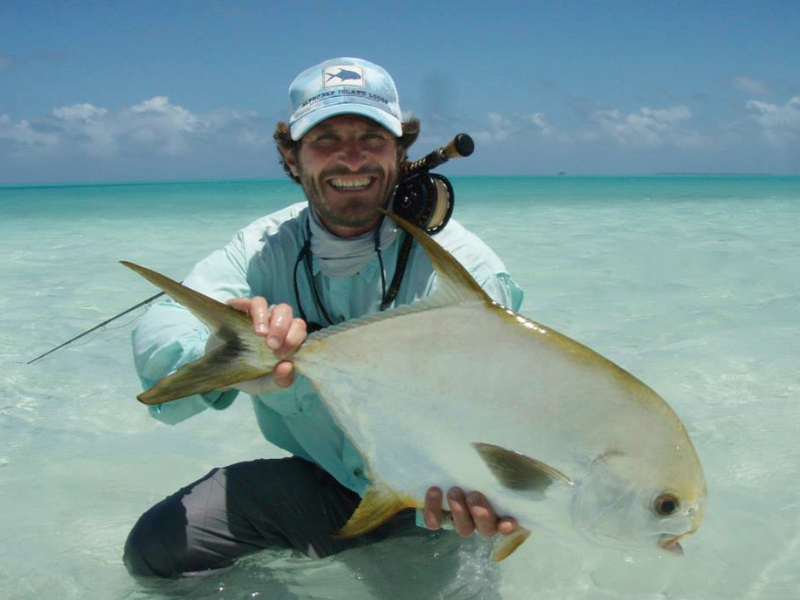 After fishing the ‘Socotra-islands’ I realised that some saltwater fly patterns certainly work better than others. The challenging fishing also taught me a few lessons – always experiment and try things that seem unlikely to work in the circumstances. For instance, never underestimate the effectiveness of a ‘dead’ fly pattern. It was a tedious task to tie flies for that destination. 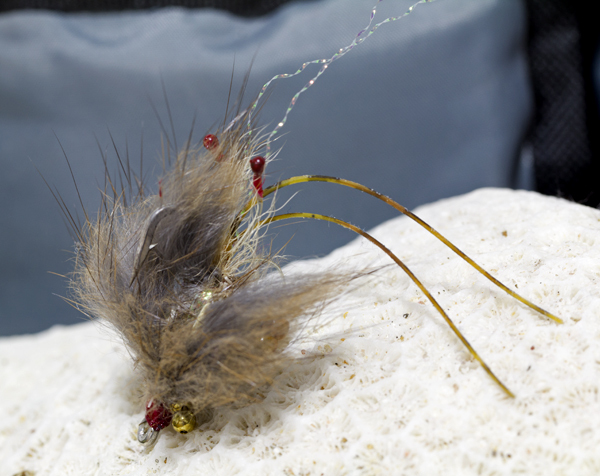 With the knowledge I gathered through experience though, I realised after the trip that I could’ve saved a lot of tying time and money on tying materials by focusing on 5 fly patterns, i.e., Clouser minnow, Tailer’s Delight, Merkin crab, epoxy crab, and Avalon shrimp. 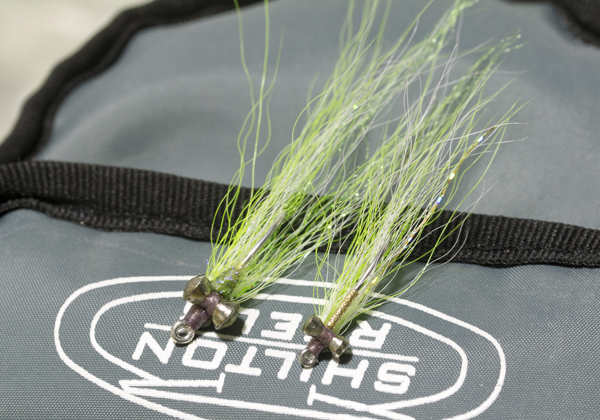 All the flies were tied on Gamakatsu SL12 and SL11 hooks in various sizes. 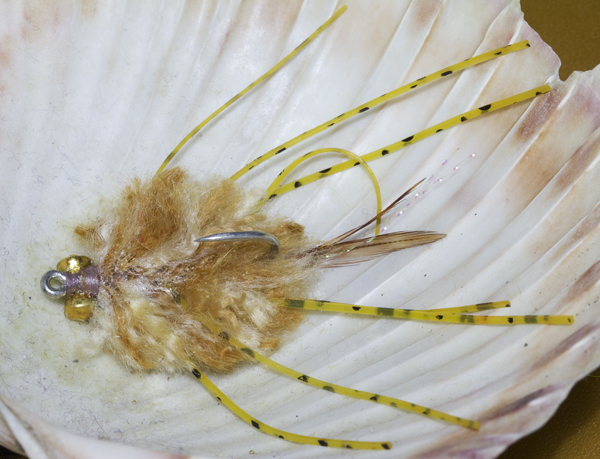 The most underestimated fly ‘not’ in the salt water fly box – TIE SOME! 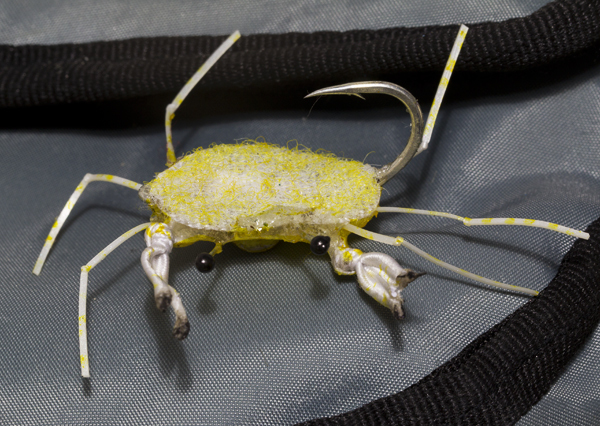 Interestingly, after speaking to Rob Scott from Tourette Fishing, he mentioned that the bumphead parrotfish in the Seychelles are also fond of a hard, white Velcro crab pattern – he reckons it’s the only thing that they will consistently take. 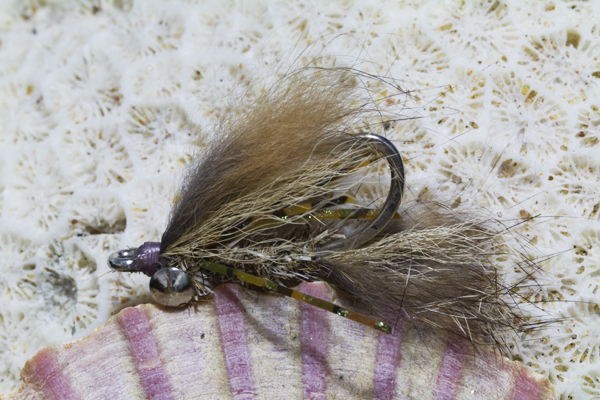 Other flies that worked included the Can Can Girl (see: http://feathersandfluoro.com/2012/05/14/dreaming-the-cancan/), Gotcha, black&red Semper, and Milky Dream. Carry a light brown and olive permanent marker with you when fishing – tan flies can be coloured to match the natural crabs in the area. 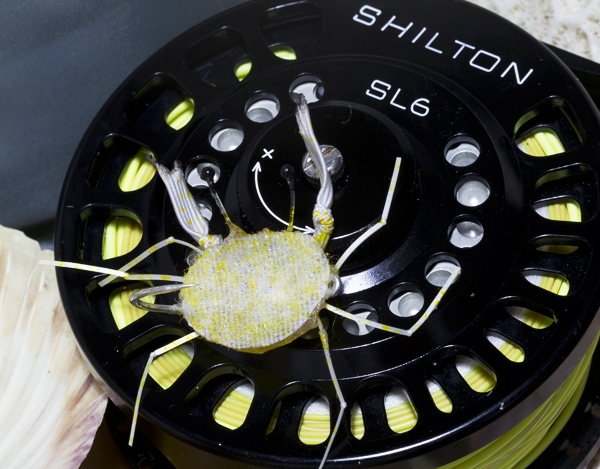 Don’t waste time on flies with little movement – fish want movement!